George V, Fine Champagne, V.S.O.P. Salignac is property of Courvoisier (which in turn is owned by Beam Inc.) and can be regarded as a secundary brand of Courvoisier. In the first half of the 19th century Pierre-Antoine de Salignac had some very innovative ideas. He wanted to challenge the three giants (Martell, Hennessy and Otard-Dupuy) by focussing on the quality of his products. He ganged up with several hunderds of winegrowers to form the Société Propriétaires Vinicoles de Cognac. He then started classifying his cognacs by district (like they did in Bordeaux) and suggested to age cognacs longer. As a result sales went up and so did the sales prices. Around 1870 Salignac and his Société Propriétaires Vinicoles de Cognac was the second biggest firm, only surpassed by Hennessy. Louis de Saliganc & Co.
Salignac is a property of Courvoisier (which in turn is owned by Beam Inc.) and is a secondary brand of Courvoisier, at least not their primary product. In 1802 Antoine de Salignac started to trade cognac together with M. Babin. 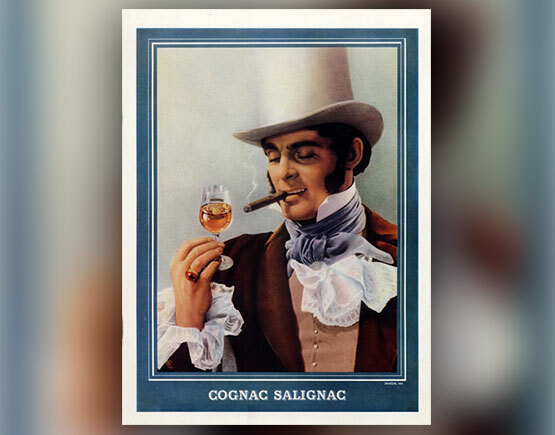 1809 Antoine de Salignac (born 1753) establishes his firm Saliginac & Fils together with his son Pierre- Antoine. 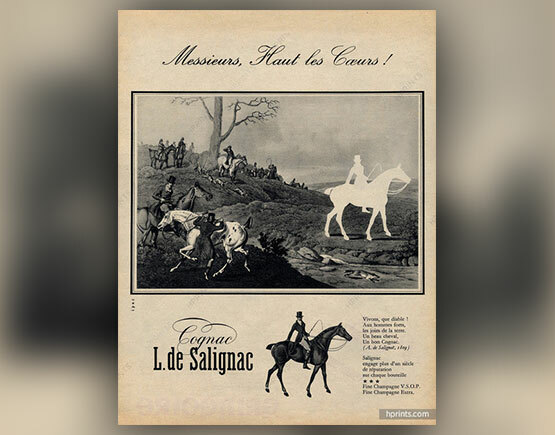 In the first half of the 19th century, Pierre-Antoine de Salignac had some very innovative ideas. He wanted to challenge the three giants (Martell, Hennessy, and Otard-Dupuy) by focussing on the quality of his products. He joined forces with several hundreds of winegrowers, distillers including some essential landowners like the Marquis d´Asnières and Jules de Brémond of the village of Ars to form the Société Propriétaires Vinicoles de Cognac in 1838. The Société Propriétaires Vinicoles de Cognac was a response to the big three, Martell, Hennessy and Otard-Dupuy, who monopolized the foreign markets. He started classifying his cognacs by district (like they did in the Bordeaux region) and recommended to age cognacs longer. As a result, sales went up and consequently the sales prices. Around 1870 Salignac and his Société Propriétaires Vinicoles de Cognac was the second biggest firm, only surpassed by Hennessy. Pierre Antoine de Salignac died in a horse and cart accident in 1845. His successor 1845 Georges de Salignac takes the wheel, but he very slowly steers away from the coöperatieve oriëntation and resumes a more low-key style of doing business. Louis de Salignac takes over from 1864 until 1897. In that year an argument arose between J.G. Monnet and Louis de Salignac, no doubt about which direction the company should take. Louis de Salignac leaves the company and starts his own company Louis de Salignac & Co. Monnet takes over the lead at Société Propriétaires Vinicoles de Cognac. Within a few years, he obtained the majority of shares and renamed the company after himself. In 1924 Louis de Salignac & Co merged with Henry Roy. Fifty years later Hiram Walker acquires the company like they already purchased Courvoisier in 1964. In 1986 Allied-Lyons acquired Hiram Walker. In 1994 Domecq buys Allied-Lyons and becomes Allied-Domecq. Louis de Salignac is now a subsidiary of Courvoisier. In 2005 Pernod-Ricard took over Allied-Domecq. Beam Inc. is established in 2011. Courvoisier (Salignac inclusive) is divested to Beam.